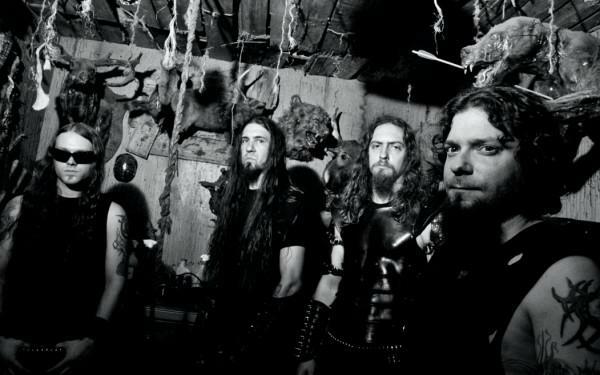 Goatwhore is a fantastic band name worthy of a fantastic band, and luckily these guys live up to their chosen moniker. Thrashy blackened death metal that chugs along like a badass freight train, I liken the sound of Goatwhore to sprinting through a dark dungeon full of waist-high sewage. And if that doesn't sound awesome to you, you are reading the wrong blog. Go away. "Apocalyptic Havoc" is the first song from the band's fourth album, 2009's "Carving out the Eyes of God." Another great name. The track also contains the absolutely classic line, "Who needs a God when you've got Satan?" Nice. I like a band with subtlety. Enjoy!